Please click on the program's title before downloading it to read its licence. Licensing: Each download counts as one licence. Licence restrictions are outlined in each program's licence agreement. Additional licences can only be obtained by re-downloading the program from this page. Most of these Windows downloads will work on Linux using Wine. You can install Wine by entering sudo apt-get install wine in Terminal. Once installed, open the EXE file or setup wizard with Wine. NOTE: Your antivirus program may mark these downloads as viruses. This is because they are not commonly downloaded and have not been around for long. 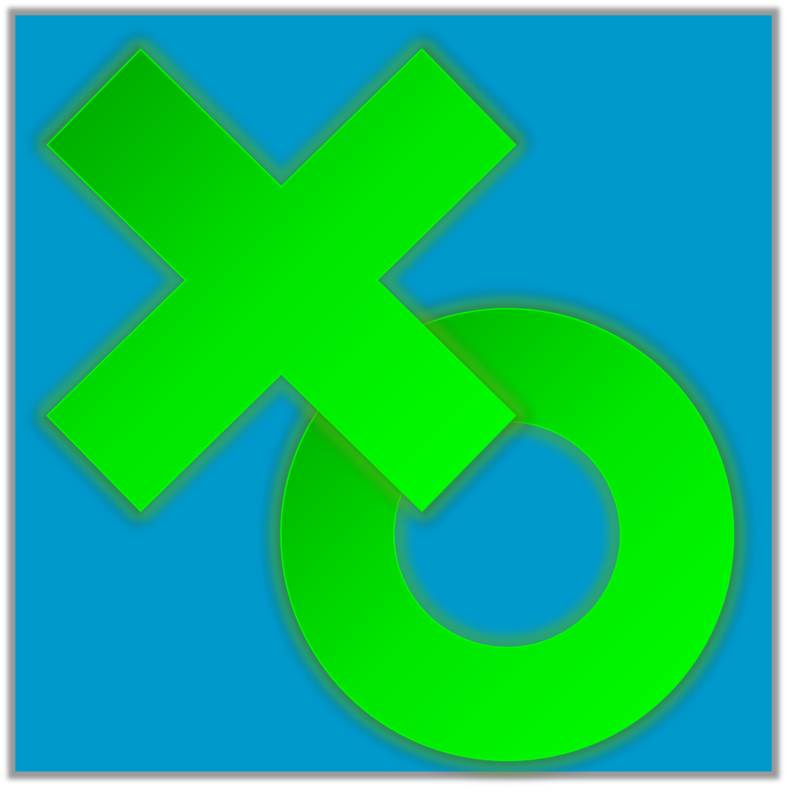 The original Imperial/Metric Converter for desktop, available for download in a package containing temperature and Roman numeral converters and a desktop version of Binary/Decimal Converter. 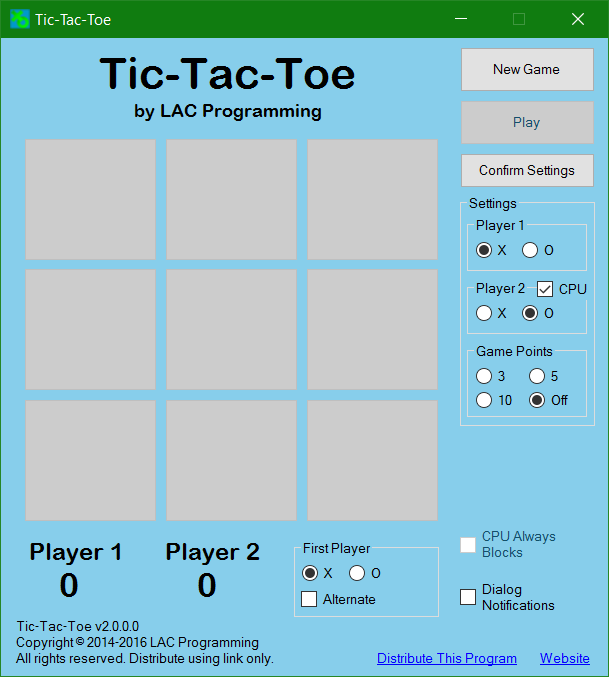 The first public release of LAC Programming's desktop Tic-Tac-Toe game.